Within a fragrant mood garden, each plant has its own unique smell. Scent is probably the most potent of all senses. Certain aromas can actually alter your mood in a variety of ways, so when you plan your fragrant flower garden, why not let your nose decide the arrangements for you? Keep in mind when creating a fragrant garden plan that different scents appeal to different people. Fragrant garden plants and flowers work well in nearly any type of garden, and when mood-altering plants are chosen carefully, any garden can be a fragrant mood garden. The first step in designing a fragrant flower garden is choosing the best site. Generally, creating a private, enclosed place where the fragrance of your plants can be better appreciated is preferable. This allows the fragrance to collect and intensify. Don’t rely on just one plant to provide aroma in your fragrant garden plan. Choose a variety of plants that captivate your sense of smell everywhere you walk and wherever you sit. Lilac is one of the most popular fragrant plants, blooming at various times during the spring, depending on the variety. Roses are another popular choice in fragrant flower gardens, especially the old-time varieties. Herbs are always a great choice and the possibilities here are endless. When you need refreshing or energy, try putting a little breakfast table by a lemon tree surrounded by lavender and rosemary. The green herbal and citrus scents enhance wakefulness. If you’re planning a quiet private garden, then a mix of mild-scented flowers like lily-of-the-valleys, lilacs, and roses might be just what the doctor ordered. For a calming and relaxing mood, plant some chamomile, scented geraniums, and roses. To excite your senses, Jasmine, thyme, and orange trees make a lovely fragrant backdrop. Count on year-round fragrance by adding aromatic foliage to the garden such as lavender, lemon verbena or scented geranium. Long after the blooming season ends, scented leaves fill the air with a distinctive perfume of their own. Foliage is best placed where it will be touched, like along paths where you brush against the leaves as you walk by or between pavers where you crush leaves lightly underfoot. Thyme and chamomile are great along a walkway or placed between paving stones. Fragrant gardens have the power of changing your moods. Since everyone has different tastes (or senses of smell), the moods will vary from person to person. However, for the most part, the fragrant flower garden brings about feelings of relaxation and happiness. Some mood-altering plants evoke fond childhood memories, while others simply create peaceful feelings. Whatever the case, the mood-altering power derived from a fragrant mood garden is easy to create and can be a welcome break from life’s everyday stresses. 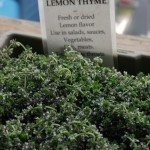 Gardening LifestyleGift For Gardening: Is The Green Thumb A Myth?